One of best and most complete Rank tracking tool! Advanced Web Ranking makes everything easier! And this is where an SEO tool or software can help you out. Before any handy link building software was developed for driving traffic to sites, everything was done manually. It did get amazing results but as years passed and competition become fiercer, the need for an automation and efficiency has gone from luxury to a terrible need. Advanced Web Ranking is just one of many SEO tools available but in my humble opinion, it is the best ranking, linking, analytics and social tracker available in the net. There are already thousand hundreds happy users and lot of positive reviews about AWR, in several years it showed to be absolutely reliable and regularly updated. What does this software have that makes it one of the popular choices for driving traffic to sites? Usability – the program must be easy to use even for beginners; must be allow you to contact support in case you need help. Instant access to stats – program must provide easy access and automated to important data especially trends in site traffic to your site. 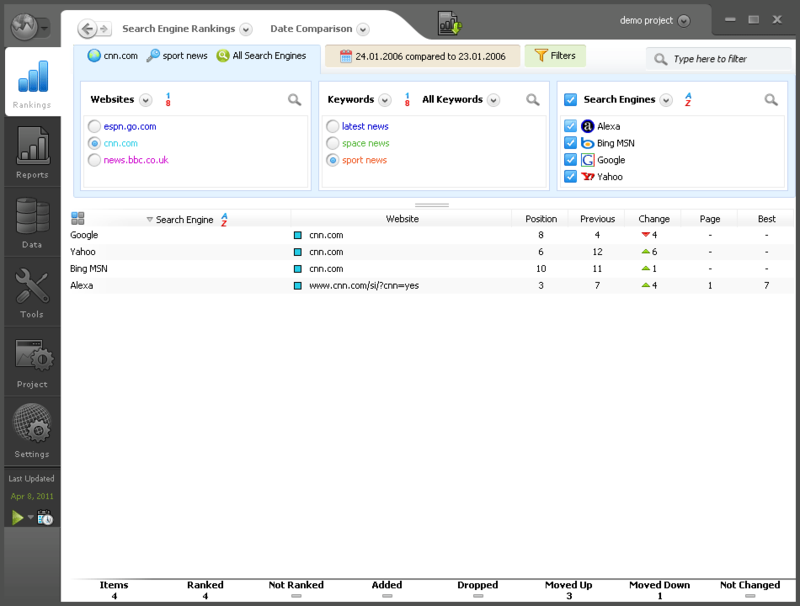 Complete and updated SEO tools- to keep at par with the competition and to track search engine ranks when you want to. Efficient link building – to do away with manual link building and contain a comprehensive tool that is also easy to use. 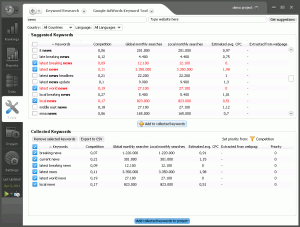 Efficient keyword research tools – must have a comprehensive tool to make keyword research easier and more accurate. Data privacy – to protect all data gathered from prominent search engines. Usability is one of the most amazing features of Advanced Web Ranking and being an actual program (and with lot of “experience” behind) , you don’t need to check for browser plug ins and browser versions to make the software work. There are also no worries about overloading servers since this is an actual software program that is installed in your computer. 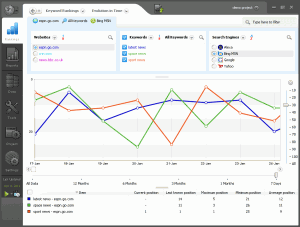 You can use it anytime and even keep the program running to keep track of important website traffic stats.Advanced Web Rankingalso offers a free 30-day trial in case you want to try it out first but if you find that you would like to purchase the program, it is available in four versions: Standard, Professional, Enterprise and Server editions. Getting help is also a simple click away; there is a helpful online support center and support page for all your questions about the program, including FAQs, How-To’s and Walkthrough, User Guide, Forums and two dedicated phone numbers from United States and United Kingdom. You can never find a more efficient software to streamline your work. AWR combines analytics, link building, site rank and all the social media tracking, all that you need in one easy to use program. A powerful report called the Website Rankings Interactive Report will show you how your website or blog site fares with your competition with the use of a selected keyword. 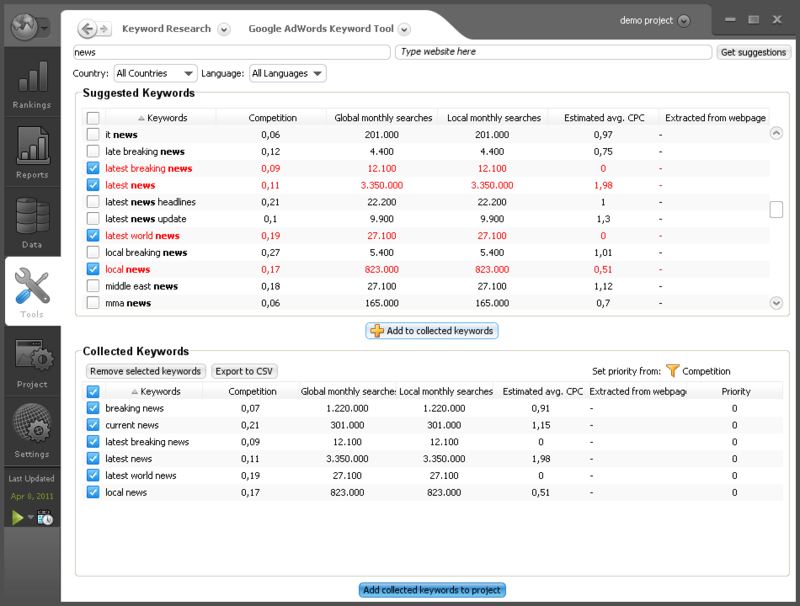 You can tweak keywords and see the possibilities of using a variety of keywords to get a positive result. 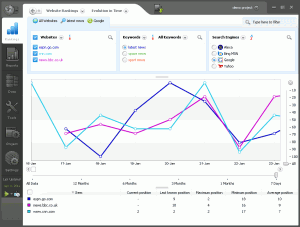 The Website Rankings Interactive Report displays your website’s position, previous position, any changes, best position and more important data for the date when any update was done. Reports are even available as a date comparison table, a chart featuring your website’s evolution and a chart featuring multiple dates as a comparison. 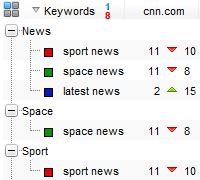 Other important reports are keyword rank, search engine rank, top site rank, overview rank and visibility rank reports. How easy is it to use? Absolutely simple, GUI (Graphical User Interface) is clean and organized in tabs, newbie friendly! 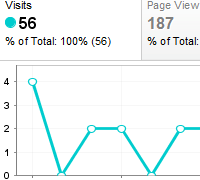 Did I mention that you can sync it with many Google Analytics accounts? 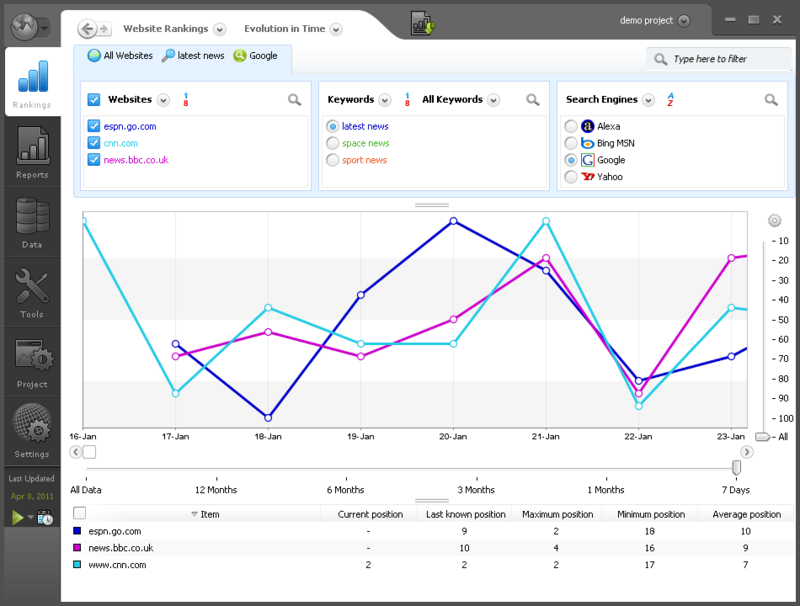 Retrieve traffic information, goal tracking, keyword efficiency and lot more, for all your websites. SEO tools are more than just updated at Advanced Web Ranking, but these are tools that you will REALLY need. Take advantage of social media tools, link building tracking tools, rank tracking tools, multi-way link tracking, important and updated Google and Yahoo! 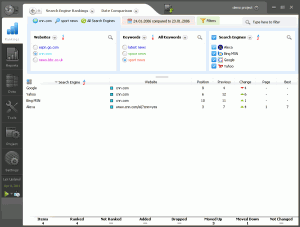 SEO tools and lot more Search Engines. Using updated SEO tools will definitely get you ahead of your competition that is still using traditional link building and keyword optimization methods. 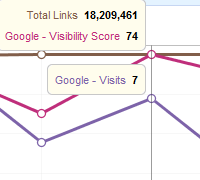 Get the most efficient link building program that will truly maximize traffic to yours site. You can track all your incoming links and learn all about your competition just by learning about the keywords that they use. You can go as far as checking on multiple way links which is handy if you are involved in a three way and even a four way link exchange. Make sure that you are supporting fruitful link campaigns so you won’t waste time with Advanced Web Ranking. Keyword research is probably the most popular way to improve traffic to your site and one of the most time-consuming as well. With Advanced Web Ranking, you can even find out how your webpage would rank for a particular keyword on Google, Yahoo! or any search engine that you want to target (Proxy supported). perform a complete On-Page optimization diagnosis, keyword analysis, these are just 2 of many website optimization features available. A local database will allow you to safely store all your data especially precious data gathered from search engines. 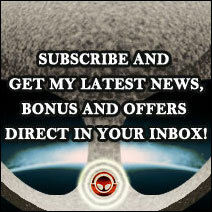 AWR is probably one of the rarest link building programs that offer a free 30-day trial. And if you are interested in purchasing, you may choose between a Standard edition for $99, a Professional for $199, an Enterprise for $399 and a Server edition for $1499. Each one has 12 month Maintenance Plan, a Lifetime License, Unlimited Keywords and 2000 FREE Link Credits to gather links from SEOmoz. I would suggest you the Professional Plan, if you are a SEO manager the Enterprise is the best option, however the higher you go the most you get. Take advantages from the Saver pack, reduce costs, increase return of investment (ROI) purchasing Advanced Web Ranking and Advanced Link Manager with a 12-months Maintenance Plan included, 50% OFF the regular price, you know what? This is an amazing chance to get 2 excellent softwares for an unbelieveble price! Secure Payment processor by Avangate. So, considering these benefits, it may be a great advantage to try out the 30-day free trial just to experience what Advanced Web Ranking can do for your website. Anyway, every advantage counts when you are dealing with competition online, personally I love this software and I highly recommend to everyone. Probably with this review I touched just the surface of this powerful software, for example I didn’t mention the complete automation via scheduling, automatic emailing system, automatic updates, multi-language support, special characters in keywords and a lot more! Runs on Windows, Mac OS X and Linux. Reseller programs are available, not only you have a reliable weapon in your arsenal but also you can earn money promoting it! 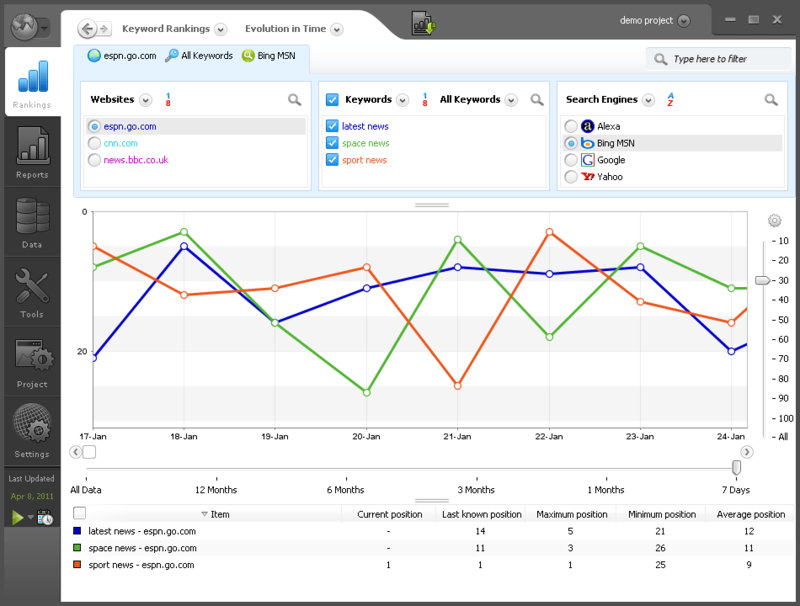 AWR has been updated to the version 10, check out the website optimization features! your review is exactly what I was looking for, bit undecided between Advanced Web Ranking and SEO Powersuite or Traffic Travis 4, they are all pretty similar but you sold me, gotta try this one first. Big thanks comrade Matteo, awesome review. Yes, it has been completely redesigned, now it’s very easy to use, I was amazed when I saw the current GUI for the first time. In a few days with your help I discovered a lot of useful resources, I’m not much into SEO stuffs but I appreciate much this article, useful for IMers! It worth a lot, don’t wait further, go and download it!! !